North Korea fired a newly developed powerful ballistic missile into its eastern waters Wednesday, U.S. and South Korean officials said, amid worries the North might conduct nuclear or long-range rocket tests ahead of the first summit between President Donald Trump and his Chinese counterpart Xi Jinping this week. The initial U.S. and South Korean assessments indicated it was a KN-15 medium-range missile, whose first publicly known test in February was considered by many foreign experts as a potentially worrying development. It uses solid fuel already loaded inside the missile, which would shorten launch preparation times, boost the weapon's mobility and make it harder for outsiders to detect the signs of its liftoff. 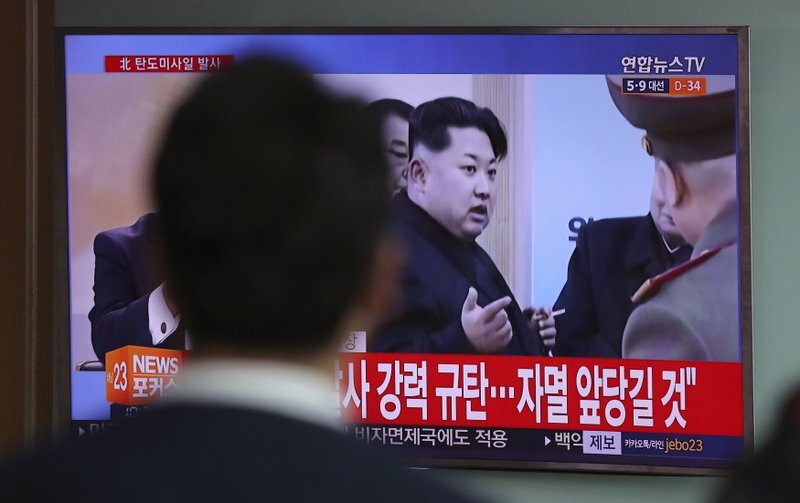 North Korean leader Kim Jong Un had said after the February launch that the missile, called "Pukguksong-2" in North Korea, provided another nuclear attack capability against the United States and South Korea. Most of North Korea's missiles use liquid propellant, which usually must be added on the launch pad before the weapon is fired. 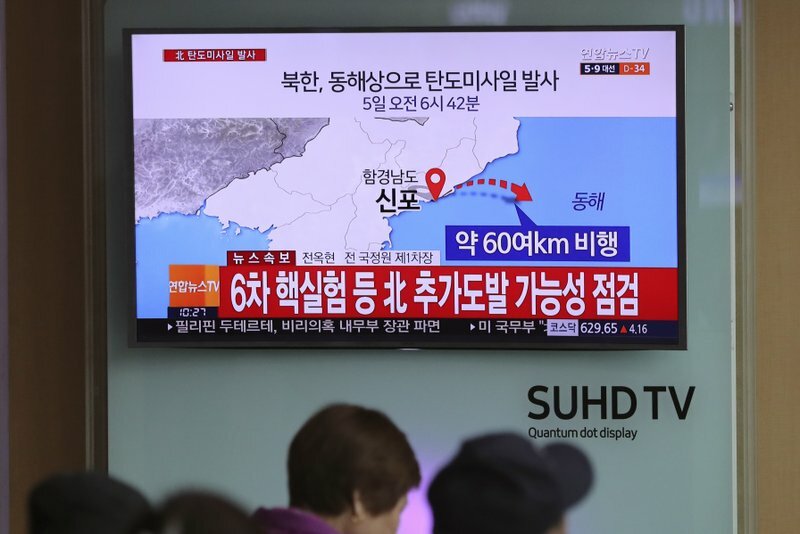 The missile fired from land in the area of the eastern coastal city of Sinpo on Wednesday morning flew about 60 kilometers (37 miles), according to a South Korean military statement. The missile launched in February flew about 500 kilometers (310 miles), but it wasn't immediately clear if the shorter distance meant Wednesday's launch was a failure. North Korean state media said the "Pukguksong-2" missile is a surface-to-surface missile that can carry nuclear warheads. It is likely to be an upgraded version of the submarine-launched missile named "Pukguksong" launched last summer. Many South Korean experts say "Pukguksong-2" missile would be a greater security threat because it can be launched anywhere from a ground-based mobile vehicle. While submarines are also a stealthy way to do that, North Korea doesn't have enough of them. Ralph Cossa, president of the Pacific Forum CSIS think tank in Honolulu, said he was expecting North Korea would do something to coincide with the Trump-Xi summit, perhaps conduct a nuclear test. The missile launch may be a precursor, with more to come as the summit starts later this week, Cossa said. "I've joked before that they don't mind being hated but they definitely hate to be ignored," Cossa said. Recent outside satellite imagery show possible preparations for a new atomic test at the North's main nuclear test site, such as the laying of communication cables used to initiate a test and collect data. 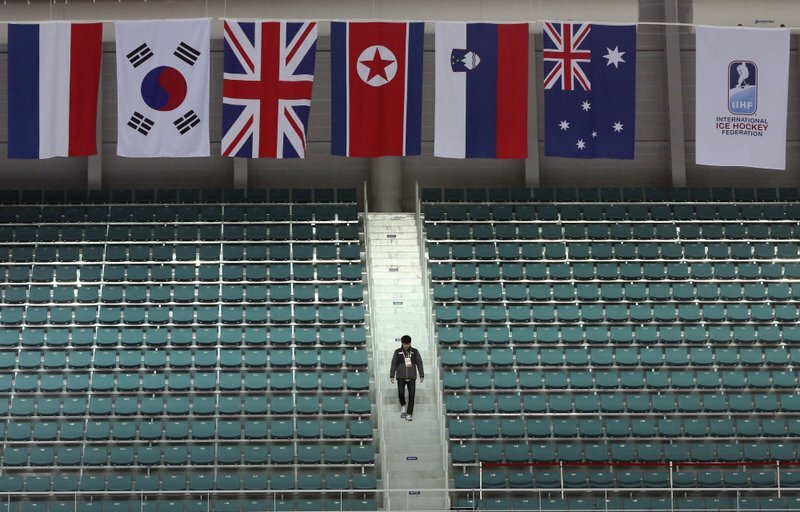 North Korea's state media has also said the world will soon witness what it calls "eventful successes" the country achieves in the space development. Washington, Seoul and others call the North's space program a cover for its long-range missile development program. South Korea's Foreign Ministry called the North's latest missile launch a "reckless provocation" that posed a threat to international peace, while Japan's Chief Cabinet Secretary Yoshihide Suga said the country lodged a strong protest over the launch. U.S. Secretary of State Rex Tillerson acknowledged the launch in a statement but said the U.S. had spoken enough about North Korea and would not comment further. to the April 15 birthday of North Korea founder Kim Il Sung, the late grandfather of current leader Kim Jong Un. 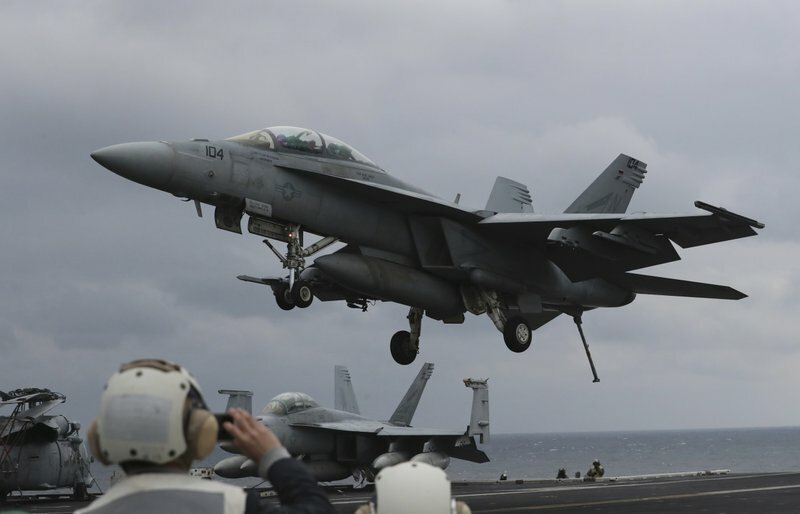 The North's latest missile launch also came as it is responding annual military drills between the United States and South Korea with weapons tests and harsh rhetoric. North Korea sees the drills as an invasion rehearsal. Two weeks ago, the South Korean and U.S. militaries said they had detected a failed North Korean ballistic missile launch. Earlier in March, North Korea fired four ballistic missiles that flew about 1,000 kilometers (620 miles), with three of them landing in waters that Japan claims as its exclusive economic zone.